When it opens in September, LMCC’s Arts Center at Governors Island will include studios, galleries, rehearsal spaces, and a cafe. 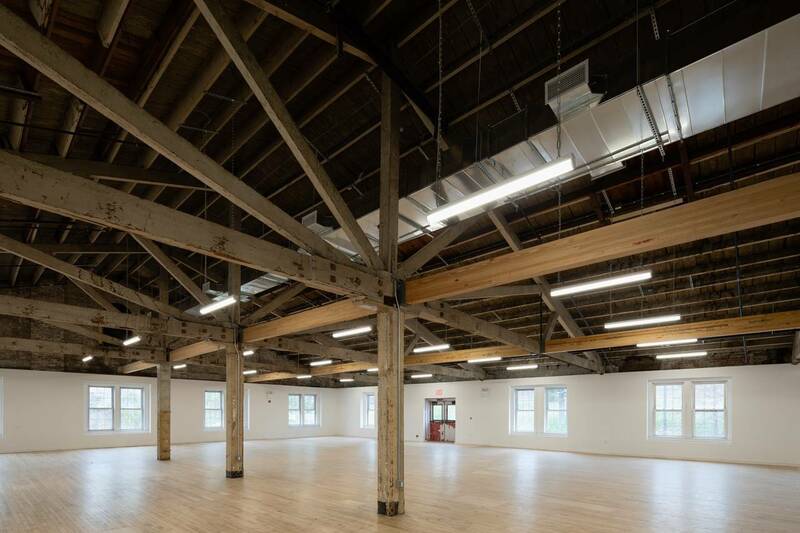 According to the Wall Street Journal, the renovation of the 19th-century warehouse will cost $12 million and will retain the building’s historic details while keeping its spaces multipurpose. LMCC has partnered with the Trust for Governors Island on the renovation, which involves designs from PEI Cobb Freed & Partners and Adamson Associates Architects. The arts center will feature artists in residence year-round with free programming happening during the Island’s public season, currently between May 1 and October 31. LMCC’s first season will officially run between September and October of this year, with exhibitions by Yto Barrada and Michael Wang, plus Open Studios. Themes of the inaugural season focus on ecology, sustainability, and resilience. The city has spent over a decade working towards turning Governors Island into a year-round community, opening in 2016 a 40-acre park with ball fields and playgrounds. And last summer, a temporary “glamping” retreat came to the Island for the first time as part of a three-year agreement. LMCC and the New York Harbor School are the only year-round tenants on the Island currently. Last August, Mayor Bill de Blasio’s administration launched the public review process for the rezoning of Governors Island, a major part of turning the Island into a 24-7 hub. The rezoning includes 33 acres on the southern half of the Island and would allow for low-and mid-rise commercial buildings. While a federal deed restriction prevents any residential development on the land, student housing and hotels are permitted.